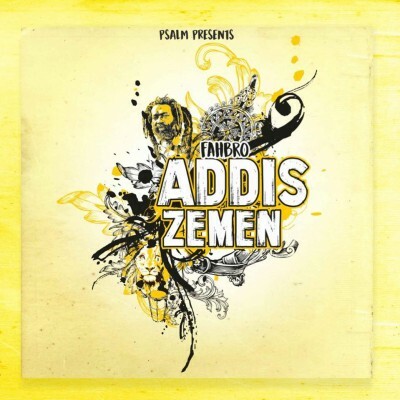 ‘Addis Zemen’, whose meaning in Amaric is “New era”, is the first official EP by the producer Fahbro, after the single “Madiba” from Psalm Collective featured one of the most representative voices of UK reggae such as Macka B whose dub was made by Paolo Baldini (Alambic Conspiracy - Dub Files). Eight tunes with a very clear and marked orientation: Uk dub, roots and reggae sounds are the most prominent in “Addis Zemen”, both in substance and form; each vocal track has its own dub mix, an instrumental tune enriched with proper effects (delay, reverbs, phaser) and reviewed in the arrangement according to specific techniques. The tracks include some very interesting featuring, such as Sista Awa (prominent female voice of international reggae scene) in the opening tune ‘My Eyes’, Dan I (Imperial Sound Army) with ‘Run come rally’, Kazam Davis (Kingston, Jamaica) with ‘Beat of my heart’ and Mannaroman with 'Praises’. ‘Addis Zemen’ is also enriched with the presence of musicians like Brother Martino (flute), Mandelion (mandolin), Luigi Miacola (trumpet), Luca Dread (melodic),Gianni De Donno (accordion) and No Finger Nails (dub mix), who contribute to give some mysticism and refinement to this mature work.